The New Jersey 87's organization is committed to developing and producing student-athletes with aspirations of advancing to collegiate levels of hockey through a "hands on" approach from mites to juniors. Through dedication and commitment from both player and coach, our 87's are taught the importance of education, nutrition, and off ice training needed to be successful both on and off the ice. 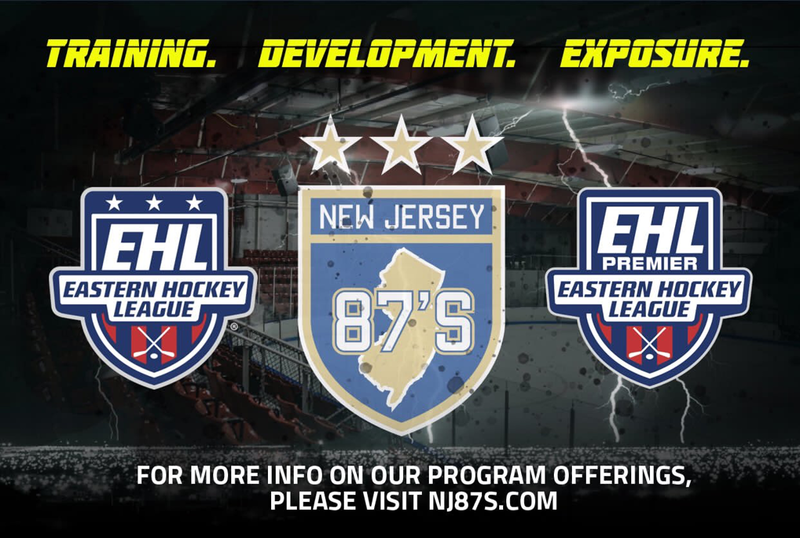 NJ 87's organization prides itself on work ethic and understanding that each and every player developments differently. The New Jersey 87's strive to make sure each and every players need and wants are satisfied. We pride ourselves on enhancing the overall experience for each type of player no matter the age or skill level. This type of philosophy will allow us to grow the game of hockey.